British pianist Anthony Hewitt records the complete piano preludes of iconic Russian composer Alexander Scriabin. 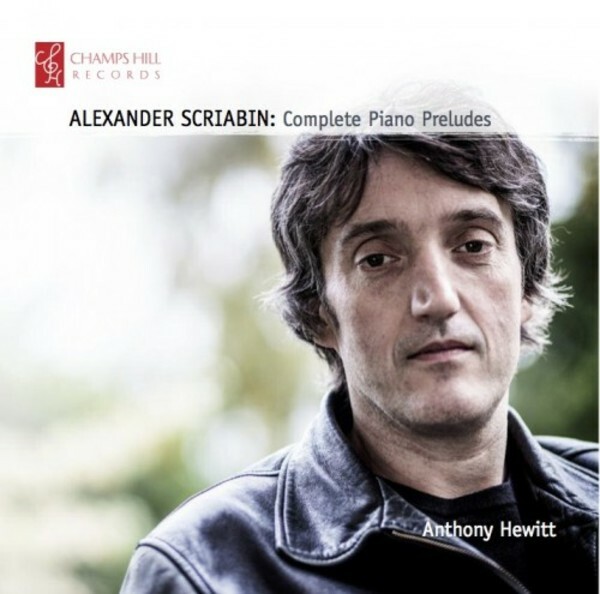 Inspired by the 100th anniversary of Scriabin�s death in 2015, Hewitt absorbed himself in the composer�s world by memorising all 90 of the preludes, which he describes as having �an incredible depth and variety of material, each with its own very distinctive character and mood�. The preludes span Scriabin�s career, beginning in a lush Romantic style before transitioning towards the post-tonal soundworld for which he is perhaps most well-known. Anthony Hewitt is regarded as one of Britain�s finest pianists, and since winning the prestigious William Kapell Competition in Washington DC, has enjoyed a prolific career spanning two decades, including concerto appearances with the National Symphony Orchestra in the USA and in the UK with the English Chamber and Royal Philharmonic Orchestras.